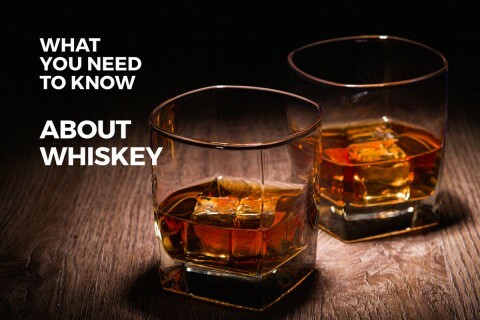 Have you always wanted to know more about whiskey? or what is the difference between bourbon, rye and whiskey? Well, here’s your chance! Chef Brian, Chef Charlie, Carolina & The Piccola Italia staff have planned a Whiskey 101 dinner presenting American whiskeys paired with amazing food selections! This will be an opportunity to eat, drink and learn all about American whiskey, rye and bourbon! There will be a couple of unique cocktails to try, and the menu was chosen specifically for each spirit. This is one dinner that is going to be SO MUCH FUN! Reservations are required, so please call for a table: 732-493-3090. There will be limited space, so call today! A TOAST TO MAKING AN IMPACT! Salt Creek Grille’s 16th Annual Wine & Martini Tasting Fundraiser benefitting Impact 100 Jersey Coast will be held Thursday, April 11 from 7-10 p.m. The event, which is always a sell-out, features heavy-hors d’oeuvres, serving stations and over 100 different wine varietals and several distilled spirits to taste. There is a live auction with popular local radio personality, NJ 101.5’s Big Joe Henry, serving as auctioneer and live music by The Bobby Boyd Trio. 100 percent of the proceeds from the night’s events will go directly to Impact 100 Jersey Coast. $150 PER PERSON Tickets are limited. Attire: Business Casual. Americans eat an average of six pounds of peanuts per person, per year, according to the US Food and Drug Administration (FDA). Most of our peanuts come from Alabama, Florida, Georgia, Texas, and South Carolina. Almost half of the U.S. peanut crop is used to make peanut butter. Even the shells are useful; they can be found in such products as kitty litter, wallboard, and artificial fireplace logs. Because they are such an American staple, the idea of honoring the lowly peanut began as a special week in 1941 and has been a month-long observance since 1974. May we suggest celebrating Peanut Month with a peanutty cocktail? Castries Peanut Rum Crème Liqueur is a rum-based liqueur (named after the port city capital of the island of St. Lucia) where the main ingredient is roasted peanuts. St. Lucia is located in the eastern Caribbean south of Martinique and northwest of Barbados — smack in the middle of the rum belt in the tropics with unspoiled beaches, soaring mountains, dense rainforests, and turquoise-blue waters. Since the 1920s, Castries Peanut Rum Crème has been produced by St. Lucia Distillers. This luscious liquid pours from the bottle in a beautiful creamy nut brown hue. The peanut aromas are unmistakable and amazingly complex; roasted peanuts, peanut brittle, a Reese’s Peanut Butter Cup, notes of vanilla, cinnamon, caramelized brown sugar and freshly grated nutmeg. At mid-palate, there is the full-bodied expression of sweet dairy cream followed by a simultaneous fade-out of the peanut and fade-in of fine aged rum on the finish. The overall sensation is of richness, smoothness and exquisite balance. Here are two nostalgic cocktail suggestions to celebrate National Peanut Month: the first being the Castries Peanut Butter Cup, which just so happens to taste amazingly like a Reese’s Peanut Butter Cup and the Fluffy Nutty Martini which is a peanut and marshmallow combination that reminds one of the icky, sticky joy of that childhood favorite, the Fuffernutter® sandwich only not as messy and with a little higher octane. Preparation: Drizzle Hershey’s chocolate syrup in a cocktail glass. Combine the above ingredients in a shaker with ice and shake vigorously to both chill and mix thoroughly. Strain gently into the glass. Preparation: Place crushed peanuts in a small plate. Place the marshmallow crème on a small plate and melt in microwave. Dip glass rim first in melted fluff, then in the crushed peanuts. Chill in the freezer. Pour the Castries Peanut Rum Crème and the Smirnoff Fluffed Marshmallow Vodka into a cocktail shaker with the cup of ice and shake until chilled pour into you cold glass and serve. Garnish with mini marshmallows and crushed peppermint for a seasonal twist. Castries Peanut Rum Crème can be found in many local liquor stores. As we all know wine is made from grapes. Wine is grape juice combined with a special variety of yeast and allowed to ferment. But not all wines are vegan or even vegetarian-friendly. The reason that all wines are not vegan or even vegetarian-friendly has to do with a process called ‘fining’ or how the wine is clarified. For those who don’t know, many winemakers use animal products in the ‘fining’ process. To simplify, freshly fermented wine usually contains small particles of proteins, tannins, tartrates and phenolics—these are all naturally occurring substances and and in no way harmful. They are removed because consumers like to drink smooth, clean wine. Most wines, if left long enough, will self-stabilize and self-fine. Fining agents help remove these haze-inducing molecules by acting like a magnet – attracting the molecules around it. They coagulate around the fining agent, creating fewer but larger particles, which can then be more easily removed or strained out. These fining agents are not additives to the wine, as they are precipitated out along with the haze molecules. Fortunately, more and more vineyards are starting to use cruelty-free substances like bentonite (clay-based) which is particularly efficient at ‘fining’ out unwanted proteins and activated charcoal is another vegan and vegetarian-friendly agent. An increasing number of wine producers are skipping the fining practice entirely by allowing the wine to self-clarify and self-stabilize. In other words, time to settle before decanting it into bottles. Such wines usually mention on the label ‘not fined and/or not filtered’. This move to more natural winemaking methods, allowing nature to take its course, means more vegan and vegetarian-friendly wines. However, wine labels typically do not indicate whether the wine is suitable for vegans or vegetarians, or what fining agents were used. How is a vegan wine drinker to know whether a wine is vegan-friendly or not? It’s not easy. There is an increasing number of more organic, biodynamic and natural wines available to consumers, and many of these are considered vegetarian or vegan. One US brand, Bonny Doon Vineyards wines are actually very vegan-friendly. All of their wines are vegan — they don’t use any animal product fining agents, (isinglass, egg whites or gelatin) in any wine and haven’t since 1985, They do use some bentonite on the whites and pinks. Other popular vegan-friendly wines include: Charles Shaw (red wines only); Frey Vineyards; Red Truck Wines; Green Truck Wines; Yellowtail (red wines only; not white or rosé); Lumos Wines. For a more definitive list of affordable, easy-to-drink vegan wines here is a quick guide to wine brands in the $25 and under category. KRIS Pinot Grigio. Kris is an affordable Italian white wine favorite that is available at almost every liquor store. LITTLE BLACK DRESS Chardonnay, Pinot Grigio, & Moscato. This budget-friendly company’s white wines are all vegan and a favorite with wine and cheese and Netflix, nights. These wines usually range under $15. MEIOMI Chardonnay. Meiomi also makes a Rose and a Pinot Noir, but Chardonnay is their only white. DECOY Sauvignon Blanc. Decoy is a brand under the larger Duckhorn Vineyards (also vegan, but much pricier), and their wines are all vegan. LES JAMELLES Sauvignon Blanc & Chardonnay. The entire Les Jamelles line is vegan—evidently, they were concerned about potential allergen issues with the use of animal products, so they “only use products of vegetable or mineral origin” in the fining process. BOGLE. Sauvignon Blanc & Chardonnay. Bogle is another sustainability-farmed vineyard with wines that can be found at many local liquor stores. NATURA Sauvignon Blanc, Chardonnay. Natura is very clear about the fact that they use organically grown grapes and wines ae vegan. NEWMAN’S OWN Chardonnay, Cabernet Sauvignon. Profits from Newman’s Own go to charity. Only their Cabernet Sauvignon and Chardonnay are vegan, whereas their other varietals are not. LAYER CAKE Sauvignon Blanc, Chardonnay. Layer Cake is a fully vegan label, providing reds, whites, and rosé. FAT CAT CELLARS Chardonnay, Pinot Grigio, Cabernet Sauvignon, Merlot, & Pinot Noir. The entire Fat Cat line is vegan. Their parent company, the Bronco Wine Company, has numerous vegan wines under their name. OUR DAILY RED Cabernet Sauvignon, Zinfandel, and Red Blend. This all-organic brand clearly states on their website and bottles that they’re vegan. GREEN TRUCK Cabernet Sauvignon, Merlot, & Pinot Noir. These vegan wines are also organic. Every wine they produce is both vegan and organic. RED TRUCK Chardonnay, Cabernet Sauvignon, Merlot, & Pinot Noir. These vegan wines are owned by the same vineyard as Green Truck. Red Truck wines are vegan but not necessarily organic. CYCLES GLADIATOR Chardonnay, Cabernet Sauvignon, Merlot, Petit Syrah & Pinot Noir. The Cycles Gladiator line is a fun wine company that was inexpensive and a favorite of our customers. NATURA Cabernet Sauvignon, Merlot, Malbec, Pinot Noir, and Carmenere. Natura uses organically grown grapes, and they are very clear about the fact that they’re vegan. PICKET FENCE Chardonnay, Cabernet Sauvignon, Pinot Noir, and Top Rail Red. Picket Fence is another wine owned by the Bronco Wine Company, and offers vegan reds & whites. MICHAEL DAVID WINERY This is one of my favorite fun wineries, with fun names like 6th Sense, Earthquake, Inkblot, Gluttony, Rage, Lust, Freakshow, and my personal favorite, Rapture..
LAYER CAKE Pinot Noir, Cabernet Sauvignon, Malbec, Shiraz, “Sea of Stones” (red blend) and “Primitivo”. Layer Cake is a fully vegan label, providing reds, whites, and rosé..
Wine Flavors: What’s Right? What’s Wrong? Learn where wine flavors come from, how to smell them, and what flavors to expect in The six Noble Wines Cabernet Sauvignon, Merlot, Pinot Noir, Chardonnay, Riesling and Sauvignon Blanc.Then there are the other not-so-noble wines like Shiraz/Syrah, Malbec, Pinot Grigio and more. But today we’ll focus on the primary six. Where do wine flavors come from? Well, ethanol molecules lift off from the surface of the wine during evaporation, carrying with them a slew of aromatic compounds. These compounds float into our noses and help give us an idea of the wines many flavors. Wine flavors are created by chemical reactions during fermentation (when yeast turns sugar into alcohol). Fermentation creates hundreds of different flavor compounds. At the atomic level, aromatic compounds in wine look identical to – or are mirror images of– smells you already know. When you sniff cherry in wine, you are smelling the identical aroma compounds that also waft from a freshly baked cherry pie. Which is why we often reference, fruit, flowers, herbs and other familiar scents. Wines often smell “fruity” with red wines typically smelling like berries, cherries, and plums. White wines, on the other hand typically offer scents of citrus fruits (grapefruit, lemon, lime), stone fruits (peaches, apples, pears), and melons. Both red and white wines can offer subtle (or not-so-subtle) aromas of fresh flowers, roses, green herbs, leaves, green vegetables, and/or stems. But don’t be surprised if you get whiffs of cheese, bread, milk, butter, bacon fat, petrol, nail polish, potting soil, wet stone, tar, wet asphalt in the summer among others. Then there are the aged and oaky scents that appear as wines are aged. These smells can include vanilla, baking spices, pie crust, caramel, brown butter”, tobacco, cedar, coffee, leather, creosote, and chocolate. So, what is a quick guide to tell what you’re drinking by scent and flavor? Here is a brief list that provides the most common scents and flavors for the Noble Grapes and Shiraz. Cabernet Sauvignon: Graphite—aka pencil lead. (Those of us who chewed pencils in grade school know exactly what that tastes like); Baking spices; black cherry; currant, especially black currant; cedar; bramble; vanilla, and even green bell pepper if made form underripe Cabernet Sauvignon grapes (which isn’t necessarily a bad thing). Pinot Noir: Scents of earth; spice; cherries; strawberries; herbs and raspberries and great cherry and black cherry flavors. Merlot: Raspberry notes, as well as black cherry; plum; blueberries and jam—these notes often give the wine an aroma similar to fruitcake. Other common notes of Merlot include graphite; cedar; tobacco; vanilla; cloves and chocolate. Chardonnay: The most common scents and flavors are yellow apple; pear; citrus (Meyer lemon); tropical fruits (kiwi, banana, mango, starfruit, pineapple); peach; apricot; melon; warm florals; butter; vanilla and brioche (when oaked). Sauvignon Blanc: A crisp, dry wine with aromas and flavors of green apple; gooseberry; lemon; lime; grapefruit; white peach; thyme; basil; grass; lemon grass; cilantro; bell pepper. And passion fruit. Riesling: Offers primary fruit aromas of orchard fruits (green apple, nectarine, apricot, peach, honey-crisp apple, pear); citrus (particularly lemon and/or lime); melon; tropical fruits; strong floral notes, minerality, spice; honey; toast, earth and smoke. Then, there’s that telltale aroma of “petrol” — the word the British use for gasoline. It’s not necessarily a bad thing. In fact, some people love it and it is more prevalent if the Riesling is aged. Shiraz/ Syrah: Typical scents and flavors include blackberries; plums; black cherries; blueberries; cassis; chocolate; licorice; spice; pepper; flowers, tobacco; earth, and truffles. So, If I smell cherries and you smell pepper, who’s right? Next time you pick up a glass of wine, take the time to pick out three to five wine flavors BEFORE you taste it. That’s the secret and after practice, you’ll become an amazing taster. Chances are, you or someone you know will get the flu and you will be looking for relief anywhere you can find it. I’ve been told that “science” says drinking in moderation—as in two cocktails a day—can boost the body’s immune system. If you catch the dreaded influenza virus this flu season (January and February are peak months), instead of wasting your money wandering the aisles of your local pharmacy, trying every over the counter remedy you can get your hands on, head to your liquor store, grab a nice bottle of whiskey and make a hot toddy instead. For decades people have used the hot toddy as a natural remedy for easing all those aches and pains associated with the common cold. It was assumed that it was one of those natural remedies, like chicken soup, that works because your brain thinks it works, not because there is actual science behind it. But as it turns out, a hot toddy is actually pretty great, from a scientific perspective, at soothing your cold. Whiskey is a great decongestant — the alcohol dilates the blood vessels, making it easier for your mucus membranes to deal with the infection — and, combined with the herbal tea, a squeeze of honey, lemon, and the warm steam emanating from the drink, you have the perfect concoction for helping to clear up your cold symptoms. By the time you finish the drink, you won’t only be breathing a bit easier, but the alcohol will also start working its magic in the sleep department, making you just groggy enough so you can get some much needed shuteye. This “Bourbon Cough Syrup for Grownups is a tasty whiskey cocktail can make being sick it a little more tolerable. It contains vitamin C-rich lemon juice, honey—a natural cough suppressant and decongestant—and, two shots of bourbon. The honey does most of the heavy lifting, but the pain-relieving properties of whiskey certainly won’t make you feel any worse. Mix the bourbon, lemon juice, and water (if using) in a tumbler or mug and heat in the microwave for about 45 seconds. (You can also do this on the stovetop in a little saucepan.) Take out and add the honey. Whisk to combine, then microwave for another 45 seconds. Just be sure to stick to one of these cocktails per day and drink plenty of other fluids, as too much alcohol will dehydrate the body and lengthen the flu’s duration. The reason most people rely on cold and flu drugs like Nyquil is because they not only ease our congestion, they help us fall asleep. The ingredients in a hot toddy do the exact same thing. Sleep is the primary way your body is able to fight off a cold so that you’re well rested. You could use Nyquil, but a hot toddy works just as well at relieving your symptoms, and it works a bit more naturally, so you can sleep. One benefit of a hot toddy over Nyquil is the lack of that hazy Nyquil hangover many people often develop in the morning. Another benefit of whiskey is the alcohol helps fight off infection and the growth of microorganisms. Here’s a favorite easy, go-to hot toddy recipe. As with any remedy that incorporates booze as a main ingredient, there is such a thing as too many hot toddies if your goal is to actually feel better. While the alcohol in one drink is great for falling asleep and feeling refreshed, one too many and the sleep you receive won’t be that refreshing at all, and could cause you to wake up the next morning feeling worse. As the days get shorter and temperatures drop, appetites crave rich food—and red wines, Today, avoiding white wines in winter is an outdated notion there are so many weightier whites that can withstand winter’s chill. Whether it’s a whole roasted chicken, apple-braised pork Osso Bucco or mashed potatoes, heartier comfort foods are a favorite on winter menus. Even the most novice wine drinker can understand the most important tenet to truly enjoying wine: drink what you like, period. A white wine’s refreshing acidity will also benefit winter meals, cutting the fat and enhancing the foods we love when it’s cold outside. Many favorite winter dishes, from roasted root vegetables to French onion soup, simply pair incredibly well with white wine. Think about it, a crisp Pinot Bianco is just as quenching with winter butternut squash ravioli as it is with a summer scallop ceviche. So, there’s no need to cut out white wines entirely, we just need to look for bottles with more minerality and depth to accent the richness and flavors of cold-weather favorites. Some great choices are the fragrant and focused Pinot Grigio of Italy’s Alto Adige region. These Alpine Pinot Grigios display the classic, complex elegance of the region. They offer focused flavors, finesse, and zesty fragrance as fresh and bracing as the nearby pine forests, the crystal-clear lakes, the rolling hills. Rather than the light citrus and apple flavors you may expect from your usual Pinot Grigio, you’ll find these are crisp, opulent whites with lovely notes of lemon curd, flint and fresh mountain herbs. Alto Adige region Pinot Grigio pairs beautifully with baked seafood, herb roasted potatoes, rich potato dumplings, smoked meats, goulash, polenta, buckwheat, sauerkraut or even a winter salad of citrus, avocado and radicchio. If you’re looking for an easy weeknight dinner with this wine, try pairing with your favorite roast chicken and a loaf of crusty bread. If you want a winter-appropriate, citrus-driven wine with notes of white florals and a sturdy mineral backbone, that isn’t a Pinot Grigio, Pinot Bianco is a good choice. This elegant bright wine with notes of stone fruit, and lime peel can take on hearty, winter foods such as Gorgonzola Gnocci, homemade macaroni and cheese, duck cassoulet or roasted mushroom risotto. Pinot Bianco from this northern region is both sturdy and refreshing with beautiful herbal notes, tempered with essences of stone fruit and lime zest. For those who want something completely different—a wine with a festive nose that’s versatile enough to pair with even the spiciest of it’s-too-cold-outside-to leave-the-house takeout—try Müller-Thurgau (sometimes the label says Mueller-Thurgau). Müller-Thurgau is a German grape created by Dr. Herman Müller, from the Swiss canton of Thurgau, who crossed Riesling and Sylvaner grapes to create this variety in 1882. In Italy, Müller-Thurgau is used to make dry wines with mineral notes in the Alto Adige and Fruili regions. Müller-Thurgau is a majestic Alpine wine that is more full-bodied than Riesling and sturdy enough for cold weather, but delicate enough to sip on its own any time of year. Expect floral aromatics of white mountain flowers, honeydew melon and exuberant orange blossoms followed by notes of nutmeg and baking spices, marzipan and a superbly round finish. Müller-Thurgau is the perfect wild card wine to keep at the ready. Whether needing a pairing for glazed ham, ordering takeout Pad Kee Mao, or enjoying a snow day with a bowl of curried pumpkin soup, its soft floral and spice notes will brighten the flavors in your dish, and enhance the umami. White wine aficionados, even your red wine drinking friends will enjoy these winter whites!